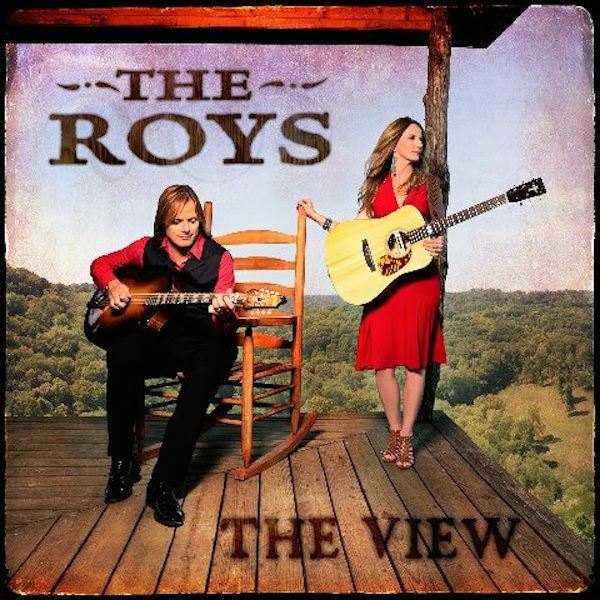 Award-winning brother and sister Bluegrass duo, The Roys, continue their creative momentum as they gear up for the September release of their fourth studio album, “The View“. This highly-anticipated project offers the truest representation of The Roys’ unique sound to date, and builds upon the duo’s success as songwriters, introducing 11 of their new compositions. The brand new album is fuelled by the loving, upbeat first single, “No More Lonely”, released to radio on June 10 and commercially to fans on June 24 via digital vendors including: iTunes, Amazon, Google Plus, Rhapsody and eMusic. “The View”, a Rural Rhythm Records’ release, gives listeners The Roys most organic project yet, and features a fan-appealing mix of traditional Bluegrass, Country and Gospel. In collaboration with some of today’s most successful songwriters, including Steve Dean, Larry Alderman, Jenee Fleenor and Keesy Timmer, as well as Country star Josh Thompson, The Roys are once again poised to take their listeners on an amazing musical journey. Exploring a vast array of human emotions, “The View” resonates with diversity as it traverses the highs and lows of life. From the inspirationally-celebratory “Mended Wings” to the heartbreak of goodbye found in “Heaven Needed Her More,” to the powerfully poignant look at the life of an Alzheimer’s patient found in “Sometimes,” the duo tackles uncommon topics with grace, compassion and insight. Throughout the album, they are ably backed by band members Clint White (fiddle), Daniel Patrick (banjo) and Erik Alvar (bass). The siblings teamed up with Hall of Fame and Grand Ole Opry icon “Whisperin’ Bill” Anderson to compose the disc’s title track. The song eulogizes Lee and Elaine’s grandparents’ final resting place at Saint Mary’s in New Brunswick, Canada. The lyrics and melody paint images of the small church overlooking the river so masterfully that one might ask if it is the view God sees while looking out his own window. “Elaine and I poured our souls into this project,” Lee admits as he climbs aboard the bus for another whirlwind festival season. “We focused hard on writing what was in our hearts, used our band throughout, and recorded and produced it in our studio. It’s a bit unnerving to throw so much of ourselves out there, but we wanted this album to tell THE ROYS’ story,” he explains. For Elaine, this project was a natural evolution. “For years, our fans have been telling us they really love the songs we write,” she notes. “We really wanted to explore that. Creatively involving the band in recording the album has helped us gel as performers and broadened a foundation we can continue to build upon. This album, more than anything we’ve done so far, has our signature on it – from beginning to end. We are very proud and excited for our fans to hear it,” Elaine adds enthusiastically. Fans will love this album! !